Welcome to the Division of Transplantation. We are one of the world’s great organ transplant programs. Our surgeons are recognized experts in their field, providing care to adult and pediatric patients receiving kidney, liver, pancreas, intestine, islet cell transplants. 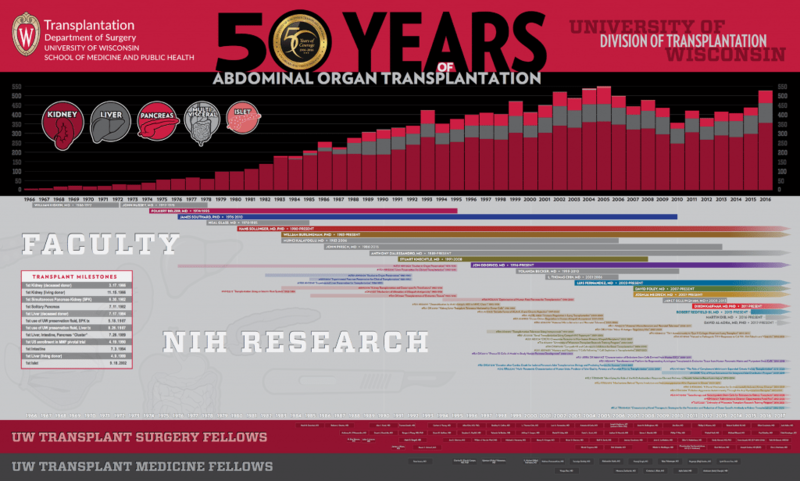 Since its creation just over 50 years ago in 1966, the UW Transplant Program has been a leader in clinical service, research and training. Surgeons in the Division of Transplantation have made innovative discoveries that are used throughout the world, including leading the pivotal trial of mycophenolate mofetil, advancing organ preservation through pulsatile perfusion and development of the gold standard organ preservation solution, “UW Solution”. The Division of Transplantation is one of the most experienced transplant programs in the nation. 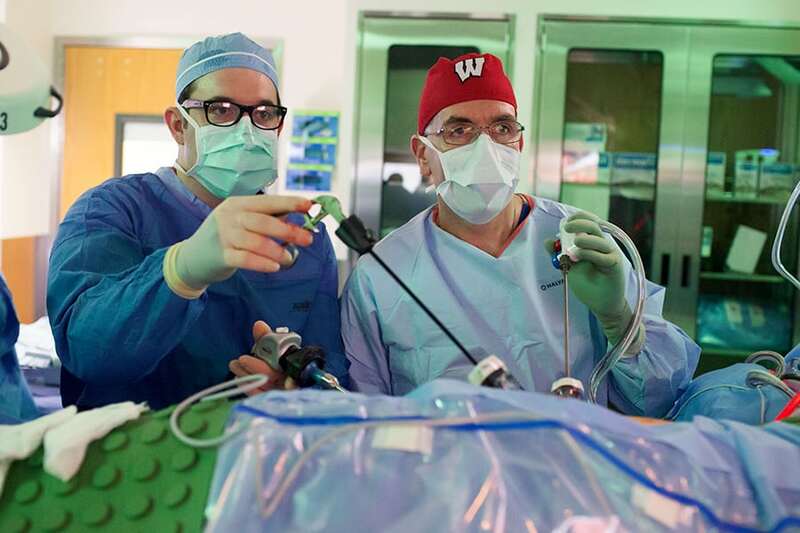 More than 16,000 transplants have been performed at UW since 1966. Recently we surpassed 1,500 pancreas transplants, making the UW Transplant Program the second-busiest program in the world. As of March 1, 2017, the Division of Transplantation has also performed over 10,000 kidney and nearly 2,400 liver transplants. More recently, in 2016, the UW transplant program was the 4th most active in the US. Our pancreas transplant activity ranked #1 in the nation (65 transplants), and the kidney transplant program ranked #4 nationally (367 transplants). The liver transplant program performed the most ever in UW’s history (105 transplants). The transplant team is actively involved in multiple research projects, as well. 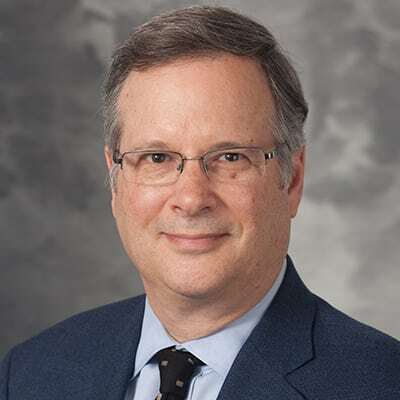 Numerous NIH awards are supporting our research to enhance our knowledge of basic research immunobiology that will pave the way for new drugs and therapies to enhance long-term survival for organ transplants without the side effects of conventional immunosuppression. We are also actively engaged in developing new therapeutics and preservation techniques that will enhance donor organ function and promote long-term survival. Educating and training the next generation of transplant surgeons is one of our highest priorities. The Abdominal Transplant Surgery Fellowship has provided highly sought and outstanding training opportunities for over 30 years. I encourage you to peruse the website to learn more about our clinical/research/training programs and team members.